When we admire our favorite super heroes, it probably wouldn't take much thought to realize that what we like about them isn't their powers or good looks. What we like about super heroes is their ability to clearly distinguish between the lines of justice, and to act rightly on behalf of society in every scenario. Heroes bring to justice those villains who society was not able to conquer on its own. But looking around, who are the super heroes who take care of our society? If heroes exist only in stories, how can we tackle those villains who seem untouchable? Although there are no true heroes endowed with super powers, there are the iron wills of members of society who stand up for truth and justice on a daily basis. When you earn your Associate's Degree in criminal justice, you're earning your right to stand among the ranks of heroes who protect justice and society. The wide range of careers available to an individual with a criminal justice degree demonstrate the vast need in our world for continued vigilance in the watch over society. Get a career overview from many of the schools below that offer this program. The symbol of justice is a blindfolded woman holding a pair of scales and a sword, demonstrating that justice is blind to race, age, motivation, background, or any other characteristics that are associated with the criminal. Criminal justice is concerned with making sure those who are guilty of a crime are held accountable to society. The criminal justice system is run by the national government, although there are divisions run by state and local governments. Because crime and criminals are so diverse, there is a nearly limitless array of careers within this field. Overall, criminal justice breaks down into three domains: law enforcement, the judicial system, and the penal system. Careers within these domains deal with either preventing crime or dealing with those who have transgressed the law. The first dominant area where an Associate's Degree in criminal justice has application is in law enforcement. This includes police officers, detectives, and special agents, and the work in local community departments, massive governmental agencies (like the FBI or CIA), and everything in between. Law enforcement individuals focus on preventing crime or catching those who have committed crimes; corrections officers focus on supervising and rehabilitating convicted criminals. Whether working at a corrections facility, such as a prison, or working as a probation or parole officer, these officers make sure that criminals are obeying rules, behaving, and getting to the point where they can function productively in society. There are also those who work as legal professionals, directly in the judicial system. Here, they have careers defending or prosecuting indicted criminals, or assisting those who attorneys who are doing so. 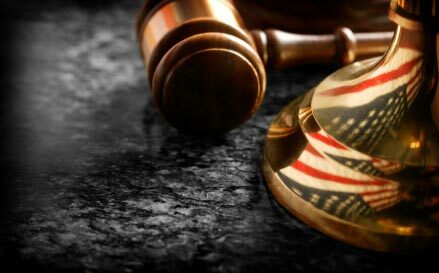 Employers in this area of criminal justice include courts, private law firms, and even certain governmental agencies. Crime, unfortunately, is never going away, which means that neither is the criminal justice system. From the street to the courtroom to prison and beyond, a wide array of individual are continually needed inside of this system to make sure that the citizens of society are protected. The job outlook for this field is generally positive, although since there are so many different areas and professions embedded inside of it, it is best for you to consider what particular aspect of criminal justice you are most interested in pursuing as a career. So even though there are no heroes with superpowers looking over our cities, the thrilling notion to consider is that we don't need them. We already have people like you our future criminal justice experts who fill in the gaps of society to protect and serve the good citizens. Once you acquire your Associate's Degree in criminal justice, you will have the education and background you need to qualify you for any number of exciting, essential careers in this field. When researching Associate’s degree in criminal justice programs you’ll first need to decide if you want an online or campus based program. Once you conduct a search on this page to see what is available to you to choose from you’ll want to research the below. -	Tuition Price – When researching any criminal justice school you’ll want pay close attention to the varied tuition prices. By no means does a more expensive school mean you’ll get a better education. As long as all schools you are considering are accredited and they all lead to an Associate’s degree in criminal justice then it is recommended that you enroll in the cheapest school. -	Your Own Pace – Does the school you want to attend allow you to finish your AA degree at your own pace? If the school is online many will allow you to finish courses early. This is a great option as it allows you to earn your degree in under 2 years. -	Support – Anyone who has ever attended college realizes that having a good support system is the key to your success. Each college will have a student support system to allow you to receive help during your courses. Another factor is when that support system is available. If you can only study at night but the support department is only open until 6pm then this wouldn’t be a good fit. -	Instructor Experience – Of all of the things to look for when researching a college the #1 thing we hear back from graduates is how important it is to take courses from instructors that have lots of “real world” experience. It is the extra things you’ll learn in school that can only come from someone in the field that separates one course from another. -	Graduation and Placement Rates – One of the greatest things that schools are now required by the Department of Education to provide students is their graduation and student placement rates. These rates are required to be given to every student prior to enrollment. Make sure to look specifically at graduation rates. No school can guarantee that you’ll get a job after you graduate so those numbers could be low. -	Scholarships & Federal Funding – Do you need help paying for school? Be sure to apply for funding as some don’t require you to pay it back. Special criminal justice scholarships could also be available so check your school as well as your local community. -	Transferability – It is recommended that you attend a school that also has an advanced degree in criminal justice. Although receiving your Associate’s degree in criminal justice is a good degree, you’ll want to continue with a Bachelor’s degree. With your degree you’ll be able to apply for many entry level positions I the field of Criminal Justice. Some of the below might require you to earn a secondary degree. Police Officers – Most police officers hold a degree in criminal justice. The average pay is $56,500 per year, they offer great benefits and you are allowed to retire after 20 years of service with a pension. Detective – One of the fastest growing areas is in the private side of private investigation. These positions you’ll qualify for with your Associate’s degree. Security Guard – This is probably the lowest paying of all of the criminal justice positions and doesn’t require a degree however by having a college degree you could move into the management side of the PI business. CIS or Crime Scene Investigator – Work to investigate all types of fraud and work a crime scene. DEA Agent – As a drug enforcement agent you’ll work with a team to combat drug smuggling.